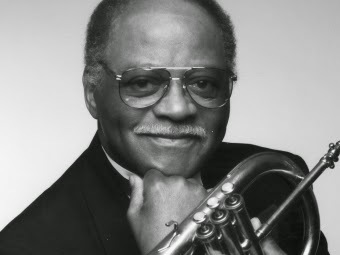 On this episode of TNL [Thursday Night Live on ABC Jazz], we celebrate the life and music of the great Clark Terry, who passed away at the age of 94 on February 21, 2015. "Imitate, assimilate, innovate..." These three words were Clark Terry's way of summing up how to be yourself as an artist. Copy your idols, integrate their ideas and then make them your own by building upon them. CT was renowned not only for his work as a trumpeter, composer and sideman (for the likes of Duke Ellington, Count Baise and Oscar Peterson), but also as an educator and mentor to many younger jazz musicians. Even in his 90s, he was eager to encourage young jazz musicians in their own musical journeys. The Australian drummer and film director Al Hicks captured Terry's passion for the music in his documentary titled 'Keep On Keepin' On.' The film highlights CT's relationship with Justin Kauflin - a young, blind pianist breaking into the scene in America. It's definitely worth the watch, and you can check out the trailer here. This Award is open to poets residing anywhere in Australia. Poems must be up to twelve lines and respond to one of twelve selected art works from the Nillumbik Shire Art Collection. Young Poets Section, for poets aged between 12 and 18 years: $150 prize. Enter up to three poems; $11 entry fee per poem in Open Section; no fee for Young Poets Section. Online entries close 5pm 30 March; hardcopy entries must be postmarked 30 March. 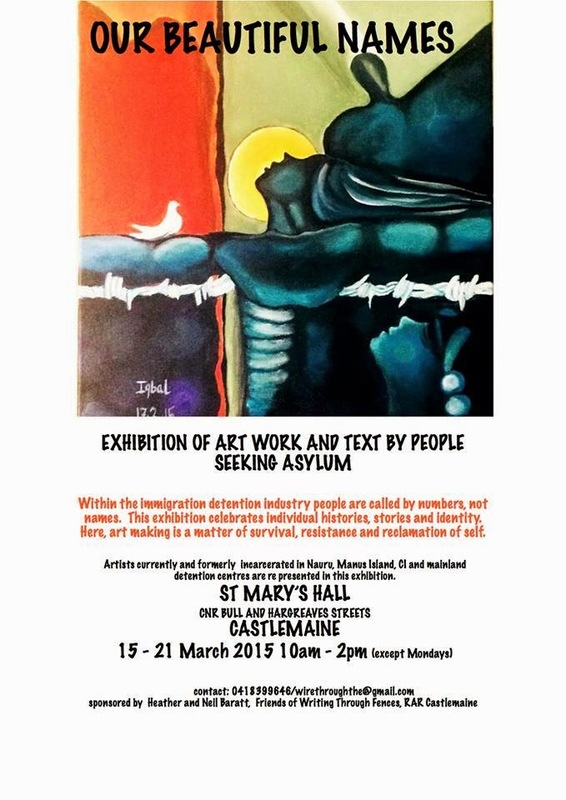 For details and to view artworks, click here. Thanks to Writers Victoria for this info. 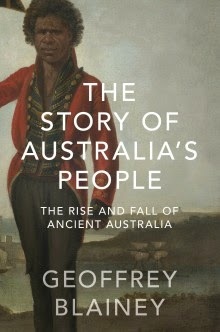 In this book Professor Geoffrey Blainey returns first to the subject of his celebrated works on Australian history, Triumph of the Nomads (1975) and A Land Half Won(1980), retelling the story of our history up until 1850 in light of the latest research. He has changed his view about vital aspects of the Indigenous and early British history of this land, and looked at other aspects for the first time. A reminder that the first reading this year will be on Tuesday March 10. It will feature Geoffrey Lehmann (Sydney) and Jeri Kroll (Adelaide). See details below. Please come along and make it a great start to the year. Please note new start times i.e. dinner at 6 and readings at 7.30. If you'd like to join my tables up the front let me know or you may prefer to start your own table and book directly with The Gods on 6248 5538 or thegodscafe@gmail.com. Geoffrey Lehmann's poetry was first published in The London Magazine when he was 18. 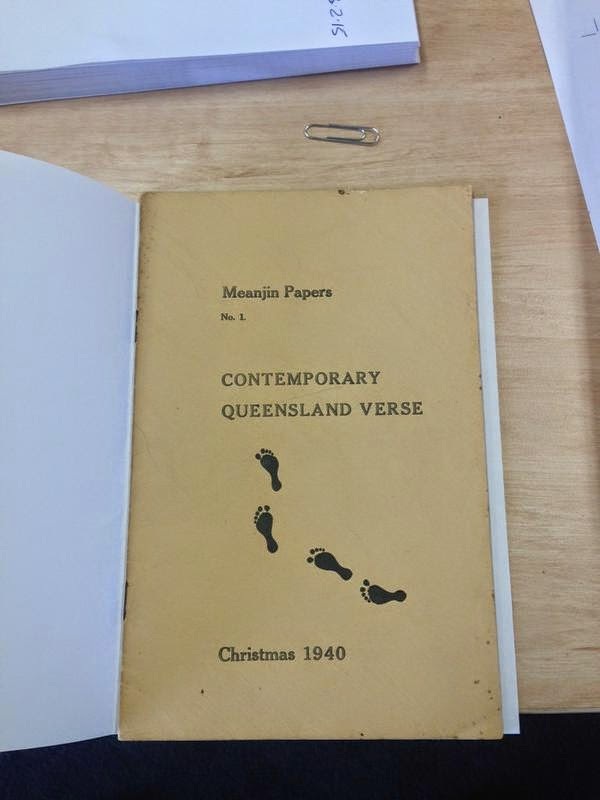 His Poems 1957—2013 was published by UWAP last year. He has also co-edited with Robert Gray three anthologies of Australian Poetry, including the massive Australian Poetry Since 1788. Jeri Kroll’s Workshopping the Heart: New and Selected Poems came out from Wakefield Press last year.. Her verse novel, Vanishing Point (Puncher & Wattmann), was staged at the George Washington University in 2014. She is also a Professor of English and Creative Writing. 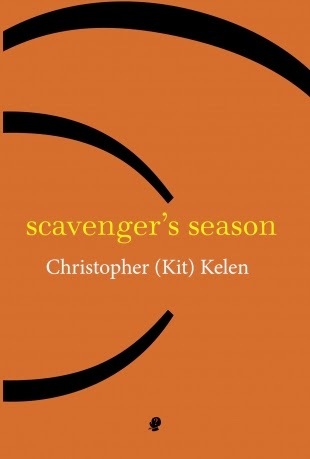 Kit Kelen’s new collection, Scavenger’s Season (Puncher & Wattman, 131pp, $25), has its own bush ethereality, but it’s mainly tonal. The book describes his relationship, over 25 years or so, with his 2ha property on the NSW north coast and the surrounding landscape. There is a lightness to it all that reproduces the feeling of sun through trees, either experienced or seen in art. Kelen moves through the countryside like a relaxed urban flaneur embarked on a drive rather than someone determined to drink in meaning and significance from it all. He pays attention, and the sketching is sharp, but always under the watchful eye of an intellect that makes constructs of experience. 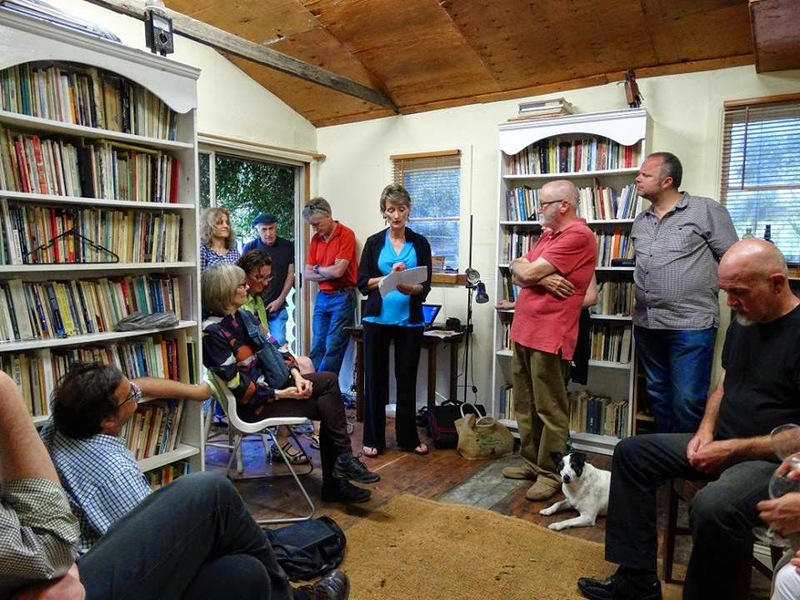 The tone is set early on with the long poem Shed, (which won the Newcastle Poetry Prize local award in 2013). Why bother with the grid? / A blowfly drone’s annoying / but one day it will power the place. The thing just needs / some nutting out. So leave it on the bench. / The peasant / is the king here. Where monarchs tinker with old crowns / no need for revolution. Later in the book, with in my tin kingdom the shed seems to have diffused out into the landscape: “and a stretch / spring is such / with gums of their own volition / my kingdom / ‘tis of tin I sing”. In between these galvanised ruminations, Kelen’s experience of the land, the wildlife, of himself, is conveyed in short, rhythmic, rhetorical phrases, bucolic and ode-like, and Horace makes an appearance, in case we were in any doubt as to what is going on. Kelen’s engagement with the country is a wry one: he is amused by the fact that within his boundaries nothing much happens of any utility, and he engages with the land in an almost Berkeleyan fashion: it seems to exist only if he writes about it. He is self-consciously a bricoleur, making his life and art out of what he finds lying around, and makes the Australian bush appear far more charming than it has any right to. 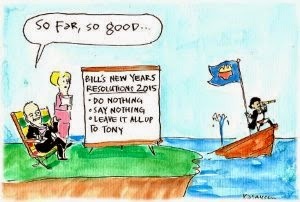 After a decade of ragged, terror-driven politics many people's dreams of and for Australia are looking battered, but the dreaming continues. Essays and other contributions here reflect the wide range and complexity of a nation's dreaming. Calls for a fairer economy, a more direct democracy, animal rights, a more subtle and respectful understanding of the rights and rites of place; reflections upon the dreams of migrant communities; examinations of the dream factories of our poetry and cinema. Lost dreams, shattered dreams, strangled dreams, stranded dreams, even a few that might be coming true. Some of the best new work from some of the finest writers of the region, new and established, and our customary contingent of reviews of poetry and fiction. Ted Kooser, U.S. Poet Laureate, 2004 to 2006, writes: "Kurt Brown was a talented poet who died in 2013, and his posthumous selected and new poems opens with this touching late poem to his wife, Laure-Anne. From the NEW YORKER, a fine little remembrance of great US poet, Phillip Levine who died Saturday at the age of 87 years. he so vividly evoked the drudgery and hardships of working-class life in America, and in part because this didn’t pull his poetry down into brackishness. just in case you ever need a new grill for yours. When people do appear in poems, Mr. Levine added: “Their greatest terror is that they’ll become like their parents and maybe do something dreadful, like furnish the house in knotty pine.” This man was a thoroughbred moral comedian. swing, commanding sound, groove and musicality on the bass. and with rumours of some surprise guest appearances. album features the group’s original compositions. steadily built a reputation as a force to be reckoned with on the Australian scene. 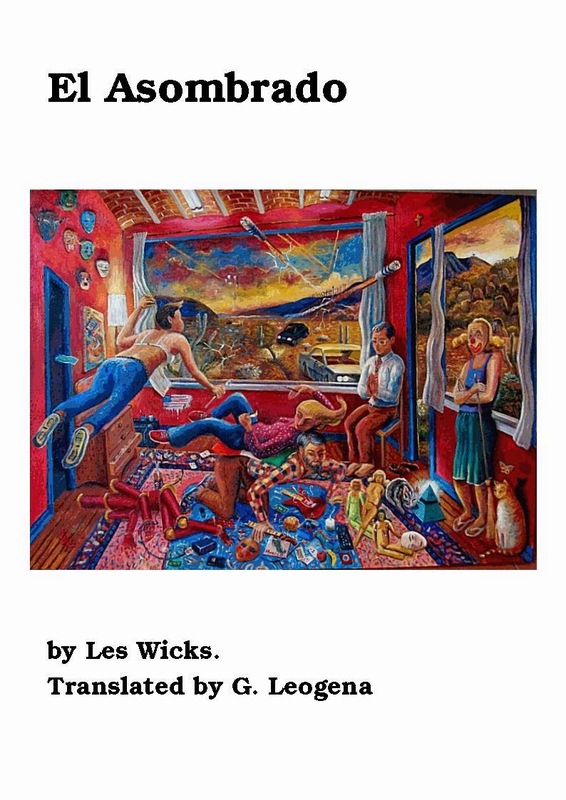 Rochford Street Press is excited to announce the publication of Les Wicks’ 12th title. El Asombrado is available as a free e-book from Rochford Street Press. An award in memory of Australian poet and academic Noel Rowe in celebration of his commitment to and support of Australian poetry. This biennial award is for the publication of a first manuscript by an emerging poet of any age. In the spirit of Noel Rowe's support and mentoring of emerging writers, the winning entrant will be given the opportunity to work on their manuscript with one of the judges. 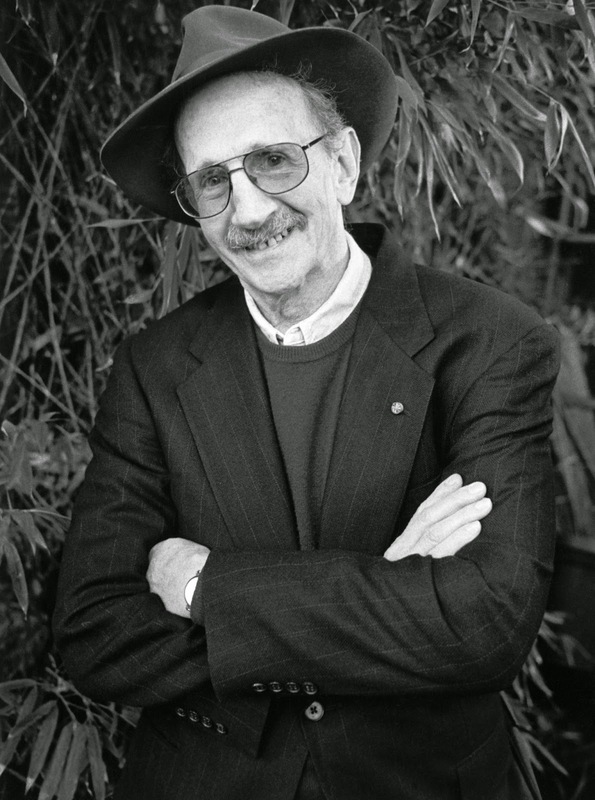 Noel Rowe (1951-2007) was an inspirational teacher of Australian Literature in the Department of English at the University of Sydney from 1986 to 2007. He was one of the first to teach creative writing courses in poetry at the University of Sydney, through which he encouraged and mentored new poets with humour, wisdom and insight. This award is for an unpublished manuscript of between 60-90 A4 pages. The manuscript must not be under consideration for other manuscript awards. The manuscript must not be under consideration with any publisher. 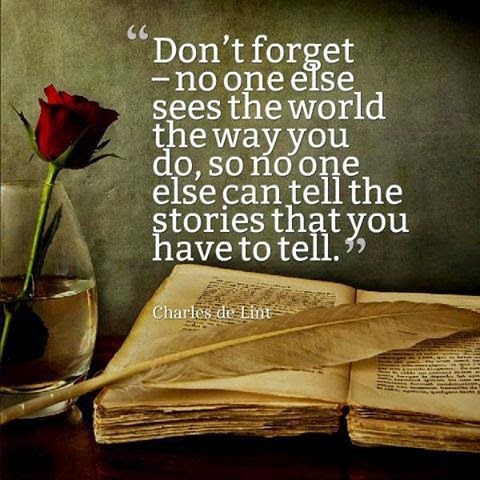 Entrants must have previously published at least three poems in print or online literary journals or newspapers. This award is for a first collection of poetry. As such, entrants should not have previously published a collection of poetry more than 40 pages in length. Entrants should be either Australian citizens or have been residing in Australia for at least three years. Entrants can be of any age. 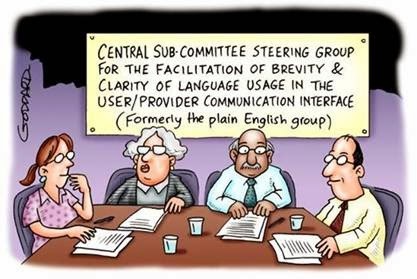 Judges reserve the right not to make the award if no manuscript received is of a high enough standard. Before publication, the winning entrant must be willing to work on their manuscript with the judges. Except for the winning and shortlisted manuscripts, we are unable to give advice on manuscripts submitted nor enter into correspondence. Manuscripts must include a title page, contents page and pages must be numbered. Submissions open February 10, 2015 and close July 1, 2015. Shortlist announced October 1 and winner announced October 10. Judges: Vivian Smith, Jane Gibian & Elizabeth Allen. To read more about Noel Rowe, visit Poetry International Web. The long wait is over! Judge Nathan Hondros of Regime Books has made his final selections and produced a tantalising Short List. Congratulations to everyone given here. 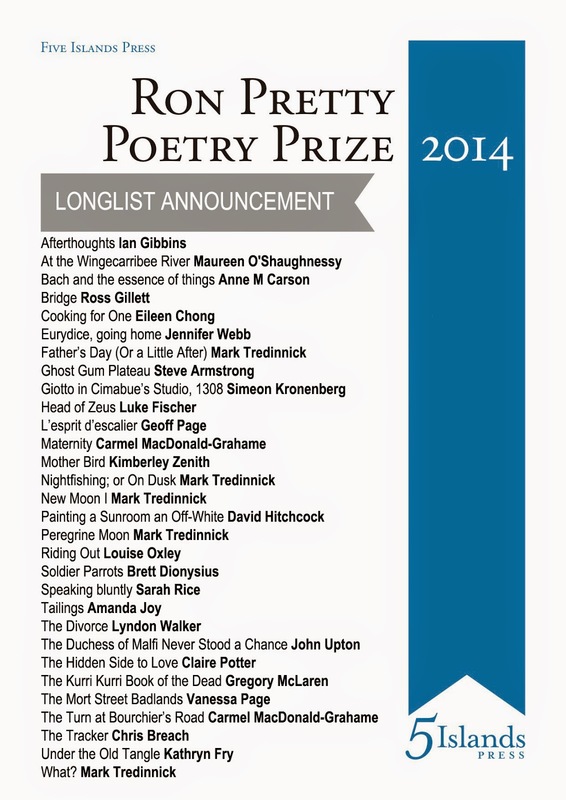 Please find the short listed poems below with authors in alphabetical order. Join FAWWA and Voice Box at The Fly Trap in Fremantle for the Prize Giving on February 23rd at 7pm. Submissions are invited for the Spring issue of NOON: journal of the short poem. The provisional deadline is 31st March. Please see noonpoetry.com for guidelines, etc. Everybody Welcome to this event as prelude to Saturday's Pako Fest. As a multicultural event you are encouraged to invite friends and wear national dress! "This instrument is just awesome, and rocks!" Joe Tawadros's thoughts about the oud when he was only 10 years old. 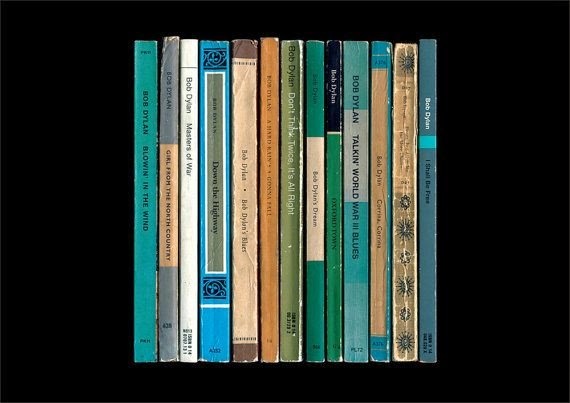 The world's most beautiful music, whatever you're doing, wherever you are. To find out how to listen ABC Classic FM where you live, click on the map. Tell us about your reception of ABC Classic FM. It will help us to improve our service. The ABC's Reception Advice Website has extensive information on all broadcast frequencies for television, radio and digital services, as well as practical advice on improving your reception. What poetry is in the News? ​Cut into the past and the future leaks out. Creating poetry from the news. Sean will show you examples of his own poetry where he has used true life events to create an alternative narrative to the real world. He will then provide newspapers and magazine articles as prompts to take your own poetry on a different direction. work & tumble welcomes submissions. Our aim is to publish five titles per calendar year. Of that five one will be drawn from our annual chapbook competition; one will be an anthology of individual poems; one will be a compilation of abstract propositions. Anyone is able to submit to these projects and people who believe themselves to be under-represented in the poetry mainstream are especially encouraged to submit. 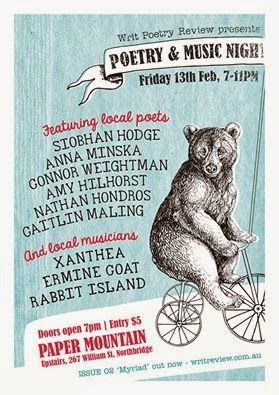 Although we are based in Australia, we do not limit ourselves to publishing poetry from here or even across the Tasman. If you are a poet living and working anywhere in the world and think you would like to write a beautifully crafted chapbook aimed at a discerning and appreciative audience please contact us. We are always looking to discuss new possibilities. 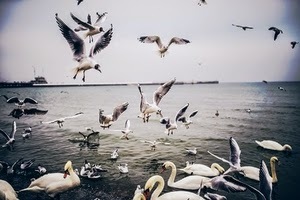 We also publish a blog focusing on poetics. The blog is a good entry point and a way to help get your work out there. To submit to the blog send us an email with your proposal. We are not beholden to a particular style or length. If you have a 2000 word review we might be interested. If you have a 30 word manifesto we also might be interested. If you are another publisher of poetry and would like your books reviewed please feel free to get in touch too. We want to support the poetry ecosystem, network, rhizome as a whole. work & tumble’s ‘Chapbook Competition’ is an annual competition that will result in the publication of a chapbook. We are looking for one long poem or a suite of shorter poems that fits within a 20 page format. This is a chance for you to submit a single piece that a journal might overlook or a series of pieces that work together and that you don't want to split up. You can submit via email. Put 'ATTN Chapbook Competition' as the subject line. work & tumble’s ‘Anthology Edition' is an annual anthology of the best individual poems that we have received during the submission period. We are looking for shorter pieces up to 30 lines. 3 poems per poet. You can submit via email. Put 'ATTN Anthology Edition' as the subject line.